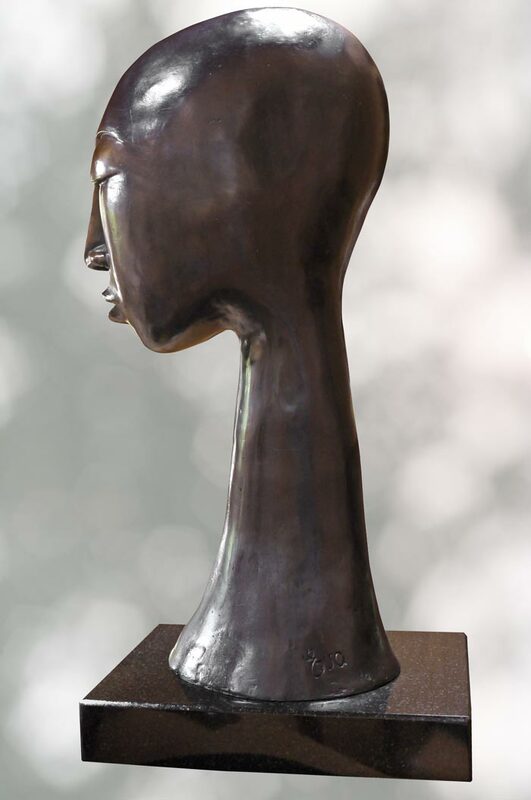 A stunning piece of modern bronze sculpture of a highly stylised face. 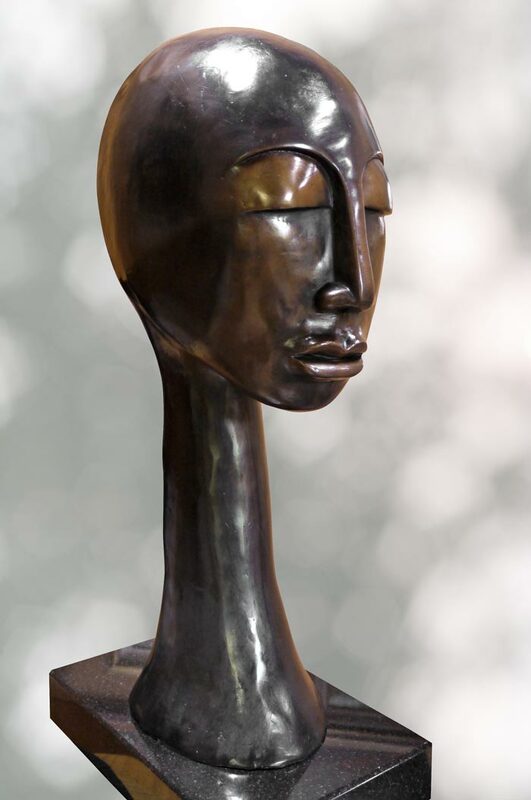 The style reflects Eva’s keen interest in African sculpture. 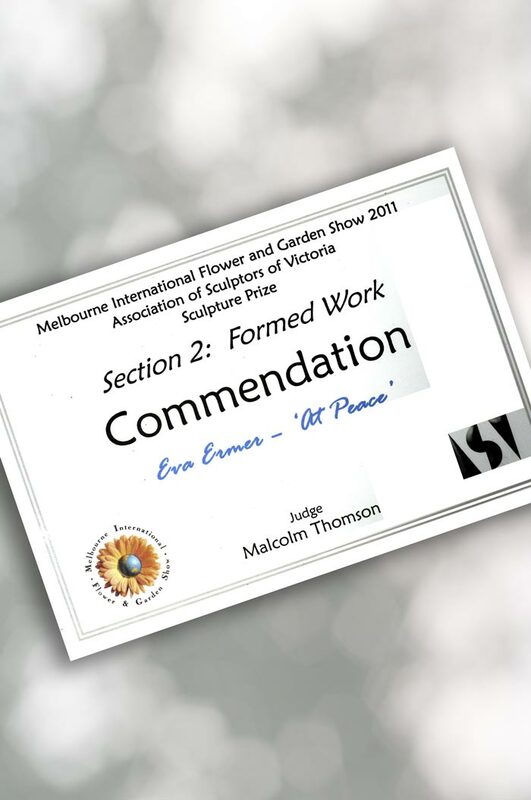 At Peace won a commendation in the 2011 Melbourne International Flower and Garden Show. At 60cm in height it makes a strong statement in any room.